10 Diamond Facet Necklace (18k Yellow Gold): Special 10th Wedding Anniversary Gift! 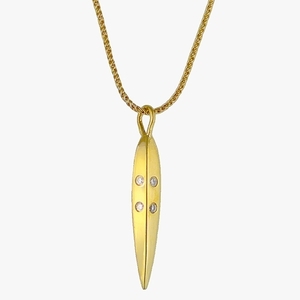 This original Facet pendant has 10 diamonds. A diamond for every year... Two diamonds on each of five sides of this unique pendant.